Does ExpressVPN Offer a Free Trial? Would like to get free trial before you purchase a VPN plan? Do you want to try the best VPN without risking your money? You should get a risk-free VPN trial from ExpressVPN. ExpressVPN is one of the securest and fastest VPN services. You can get a feel for how the service will work by making use of the VPN free trial. It is very easy to get trial. You have 30 days to try the service before you make the decision. Does ExpressVPN offer free trial? How to try ExpressVPN without a risk? How to get best ExpressVPN deal? You can find the answers in this articles. A free trial is a popular way to find out if it is the service you want before you make a purchase. Most users look for free trial before they actually sign up a service. ExpressVPN is a very powerful VPN service. Beginners probably need free trial as they know little about the service. In fact, it is wise to make use of free trial. You can avoid spending money on the wrong products. Besides, the contents of free trial also are important. Only when you access all the features can you full experience the service. So, what you do you get with ExpressVPN trial? It gives you full access to their features and functionalities. Use risk-free ExpressVPN trial to enjoy the dominant and reliable service. Does ExpressVPN Offer Free Trial? Free trials are very necessary nowadays as things change every day in VPN industry. VPN servers can be easily blocked out by media services and government agencies. They may work in your country and help you unlock restricted contents today while fail after few days. Therefore, you can use the free trial to check the VPN stability and ability to bypass geo-restriction. So, does ExpressVPN free trial exist? Where to get it? 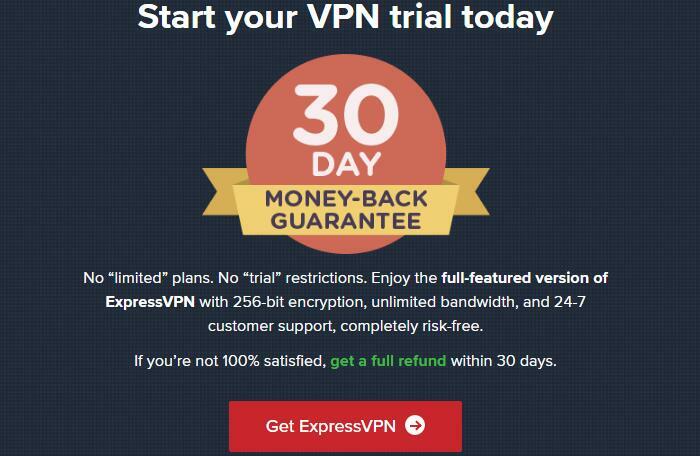 In fact, ExpressVPN technically does not offer a “free trial.” It provides a 30-day money back guarantees instead of a free trial. The provider truly offers “No questions asked” money back guarantee. There is no hidden catches or restrictions. To try the service, you need to pay for it at the beginning. If you don’t feel like to use the service when using it, you can request a refund within 30 days of the purchase. The refund will be processed within seven days, no hassle and no stress. It is a risk-free to sign up with ExpressVPN. You may be disappointed when hearing that ExpressVPN does not offer free trial. In fact, a reliable money back guarantee is better than a free trial. As we know, free trial comes with limited features. If you ever used VPN free trials, you might notice that they are slow and give you less access their features. Many free VPN trials come with slow connections and lower encryption standard. They even can’t allow you to enjoy HD videos on famous streaming websites. Commonly, less VPN protocols and server locations are available for users who use free trials. You may not be able to access OpenVPN which is the most popular option. You may have access to servers in few countries that can be far away from your real location. If certain servers are not available, you still can’t unblock your favorite websites with the free trial. Therefore, the risk-free ExpressVPN trial is a more effective way to test the VPN performance. After you sign up a risk-free ExpressVPN trial, it provides you access to their full features. It allows you to enjoy the fastest connection speed, highest encryption standard, latest VPN protocols, widest server locations and considerable customer support. That means you can test the VPN service thoroughly in many aspects. You will have more accurate test results. If you find out the VPN does not work in the way you like, you can cancel the account and get a refund within 30 days after you signed up the service. When you have a chance to try a service risk-free, would you like to start the free trial with limits or use trial with full access to the service? Think it over. You will make wise choice. Get risk-free ExpressVPN trial for the best browsing experience. It has generous 100% money back guarantee. How to Try ExpressVPN Risk-Free for 30 Days? As we mentioned, you need to pay first to try ExpressVPN. If you don’t like the service, you will get a full refund. First of all, visit ExpressVPN provider. Next, sign up a plan you like to create your VPN account. Activate your account by following the guides provided in the email they send you. Then, download VPN client to your smart phone, tablet or PC. Install and set it up on your device. When everything is ready, you can use ExpressVPN to browse the web privately, watch blazing-fast streaming media, protect sensitive information on public WiFi as well as defeat ISP throttling. Though you use the risk-free ExpressVPN trial, you gain access to the best-in-class security and privacy. Within 30 days, you totally can decide whether to stay protected or cancel the account. If you want a refund, simply contact ExpressVPN support to submit your request. How to Pay Less for ExpressVPN? After using the service for 30 days, you may be convinced by the awesome performance and solid features. When you decide to renew your plan, how to pay less for ExpressVPN? To get the best ExpressVPN deal, you should pay attention to the latest promotion information and make use of valid discount coupon. Usually, the provider runs big promotion to reward their users. Sometimes, it requires coupons to apply extra discount. Sometimes, the discount will be activated automatically during the payment process after you use promotion link. Currently, no coupons are available. However, you still can get sweet discount by using promotion link. How to pay less for ExpressVPN? On one hand, you should sign up when the provider runs promotion. On the other hand, choose the VPN plan with best value. At this time, ExpressVPN offers 49% discount. So, it is the right time to get deal. It only provides one package with three plans. It lets you save time in selecting needed features. To get deal, simply decide which billing cycle you like. There are 1-month, 6-month and 1-year plans. Which plan includes the best value? The 1-year plan includes the biggest savings and comes with extra three months for free. Actually, it is the 15-month plan. There is no discount on 1-month plan and it is $12.95 USD a month. If you want flexible billing cycle, it is a good option. The 6-month plan is 23% off. It lets you save $17.76 USD. The yearly plan is the most popular option. ExpressVPN is 49% off. Besides, you get another three month of subscription for free. You have ExpressVPN protection for 15 months and it only costs $99.95 USD. It is $6.67 USD per month. It should be your first choice if you are a heavy VPN user. Grab 15-month plan, and you get the biggest savings. What Payment Options Does it Accept? What payment options ExpressVPN offers? Can you use PayPal or credit card to sign up the service? 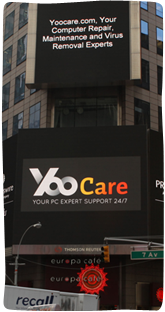 It’s glad to know that this provider accepts a wide range of payment methods. You can use most major credit and debit cards that are used in different countries. The PaymentWall options are very friendly. It allows you to use most popular online payment platforms like PayPal, Alipay, Mint, Fanapay, UnionPay and WebMoney. Choose any one you would like to use. The most popular payment option is Bitcoin because it allows users to make payment anonymously. It is the first option for users who highly value their privacy. How many server locations does ExpressVPN provide? Are they fast? ExpressVPN owns one of the largest and fastest VPN server networks. Its server locations spread in nearly 100 countries around the world, covering the most popular locations for VPN users. There are 3,000+ VPN servers in 160 VPN server locations for you to choose. As the provider allows unlimited speeds and unlimited server switches, you can connect to any provided server you like to enjoy the best possible browsing experience. When you connect to one of its servers, your IP address will be switched to related location. That can protect your real IP address and location to avoid being monitored or throttled. Others won’t be able to track you or invade your Internet privacy. You will be able to access the global network via secure and fast connection. ExpressVPN has been a top choice for streaming and P2P users because it is one of the fastest services with a wide range of server locations. You may not be able to access your favorite show after moving to a different country. You may fail to use some famous international websites and services due to strict Internet censorship in your country. For different reasons, there are many Internet limits are set based on users’ location. ExpressVPN can help you unblock restricted contents by offering new IP address and global server locations. When you are connected to a remote server provided by this VPN provider, your real IP address is hidden and you get a new virtual location. When you are connected to a server in the US, you will be able to unblock contents that are restricted in the US as well as bypass government censorship to access the Internet without limit. ExpressVPN has the ability to work with Netflix, BBC iPlayer, Hulu, HBO, Sling TV, Sky, Now TV and PlayStation Vue etc. However, many other VPNs fail to work with famous streaming services as they block VPN aggressively. It works greatly in countries with high Internet censorship as well. This VPN allows you to use the HD option and enjoy buffer-free streaming without ISP throttling. It also is a great option for Kodi users and those who would like to download via P2P & torrent. P2P traffic is allowed on their servers, so users can download securely and privately at great speed. Does ExpressVPN work on your device? ExpressVPN is compatible with all major systems and devices. It provides apps for Microsoft Windows, MacOS, iOS, Android and Linux. You can install it on VPN-supported routers, Amazon Fire TV Stick, Windows phone, Kindle and even Blackberry to protect privacy or bypass geo-restriction. It also works with Apple TV, Google Chromecast, Roku, Xbox 360 and One, PlayStation 3 & 4 and NAS etc. to access popular shows and unblock games that are not available in your country. This VPN has browser extensions for Google Chrome, Mozilla Firefox and Safari. There is no complicated configuration to do while they are full-featured and work greatly. This VPN allows you to browse securely, privately and notably. You are able to install ExpressVPN on multiple devices with one single account. It is worth the price you pay for it. Can’t be sure that it is the service you want? Make use of the risk-free ExpressVPN trial. Try it for 30 days without a risk. ExpressVPN is a solid VPN service that delivers robust Internet solution. The provider has confidence in their service, so they generously offer risk-free VPN trial. It provides a no-question-asked 30-day money back guarantee to let users try their services thoroughly without taking a risk. Unlike other services, this VPN provides you unrestricted taste of the service. You have 30 days to figure out if it is the service you want. ExpressVPN is a reliable VPN which comes with impressive features and performance. It has huge network with worldwide servers to give users fast & stable browsing experience and easy access to Netflix as well as other famous streaming services. It also is a great option for users in mainland China. 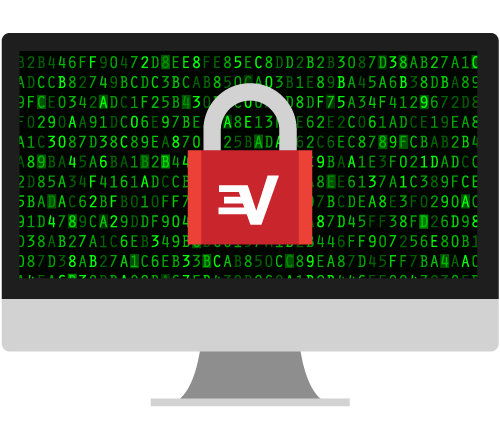 ExpressVPN uses advanced security technologies and offers great privacy features to encrypt users’ online traffic, hide users’ IP addresses and spoof their locations, helping them safeguard their data and take back their privacy. It has been a very important Internet tool. Would like to give this service a try? Start the risk-free VPN trial. Sign up a plan you need and install VPN on your device to enjoy the amazing experience. You can request a refund within 30 days of the subscription if you are not satisfied with the service. It is a risk free service.